1.Does not cause skin unevenness, bleeding, swelling and blood stasis. 2.Non-invasive treatment does not affect normal work and life. 3.Tips of different sizes provide different functions for different areas or different skin types. Not only applies to the removal of skin debris, blemishes, blemishes, wrinkles and unwanted pigmentation. 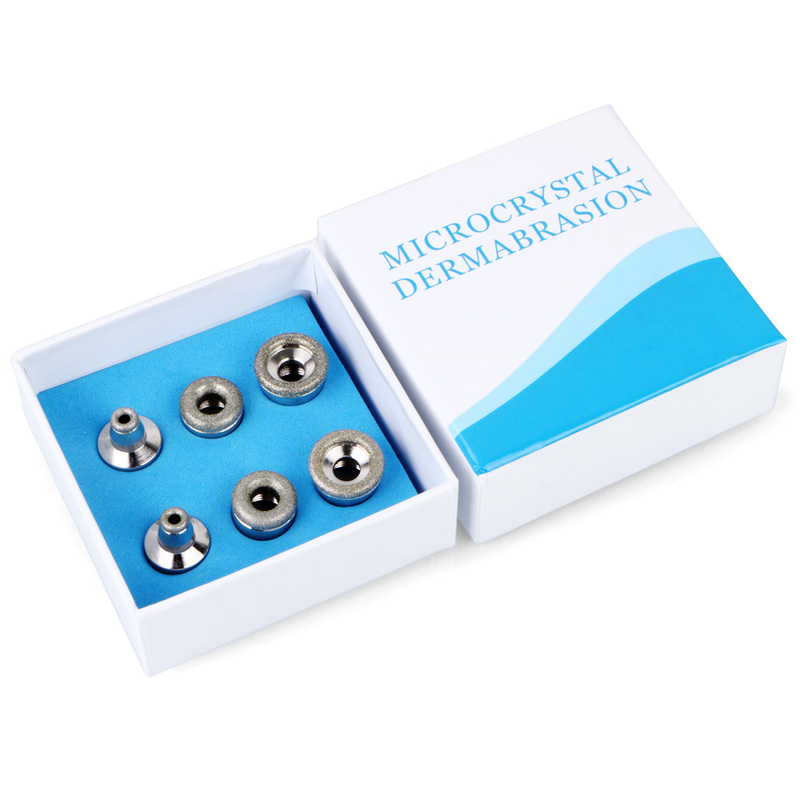 It is also suitable for diamond dermabrasion, which penetrates the top skin together with skin care products to help replenish natural nutrients, restore cell activity and promote skin health.Diamond dermabrasion accelerates the body\\\\\\\'s natural cycle of shedding dead skin cells as it stimulates the production of these two vital proteins. Skin that creates collagen and elastin more rapidly is younger, healthier looking skin. Diamond Microdermabras ion Tips can be used to polish skin, not only thoroughly clean old skin, help supplement natural nutrients, but also restore cell activity, promote skin metabolism and promote skin health.